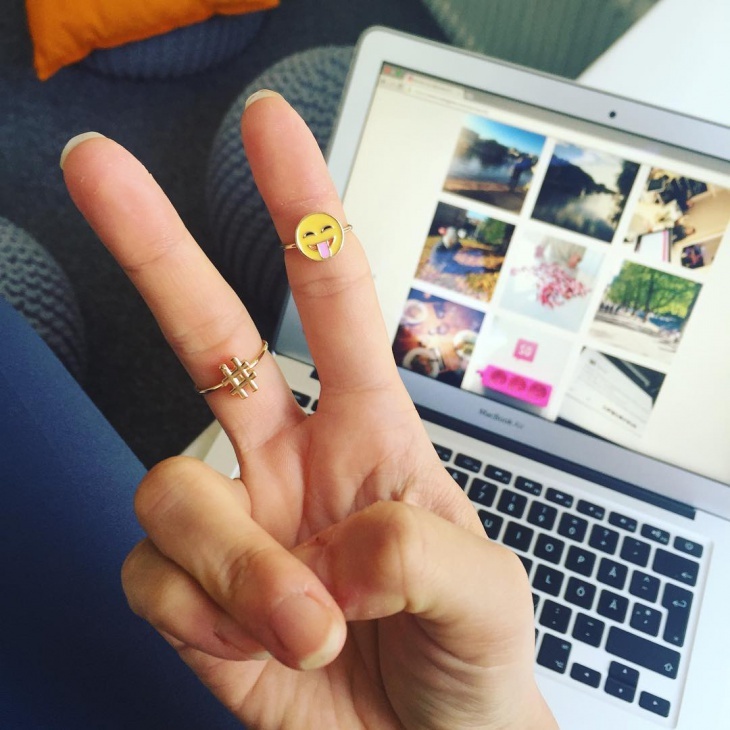 What does an emoji mean to you? Well, emoji is nothing but the short form for emotions. We all use emojis while texting. 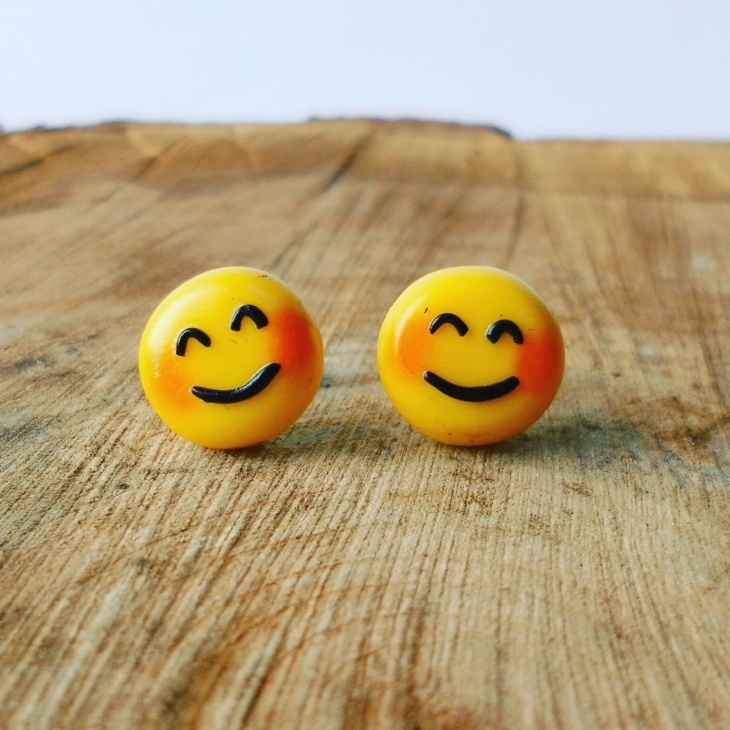 There are different kinds of emojis, the happy emoji, the sad and even funny emoji. It doesn’t necessarily have to be a face; it can of different forms, shapes, and colors. 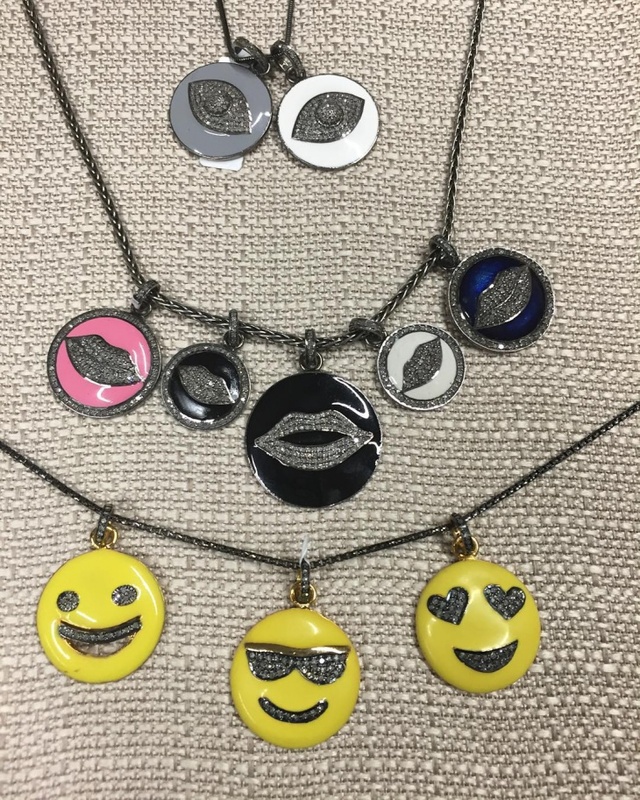 Coming back to our topic, we found many people getting these emojis as jewelry designs and what is even better is how nice they look. 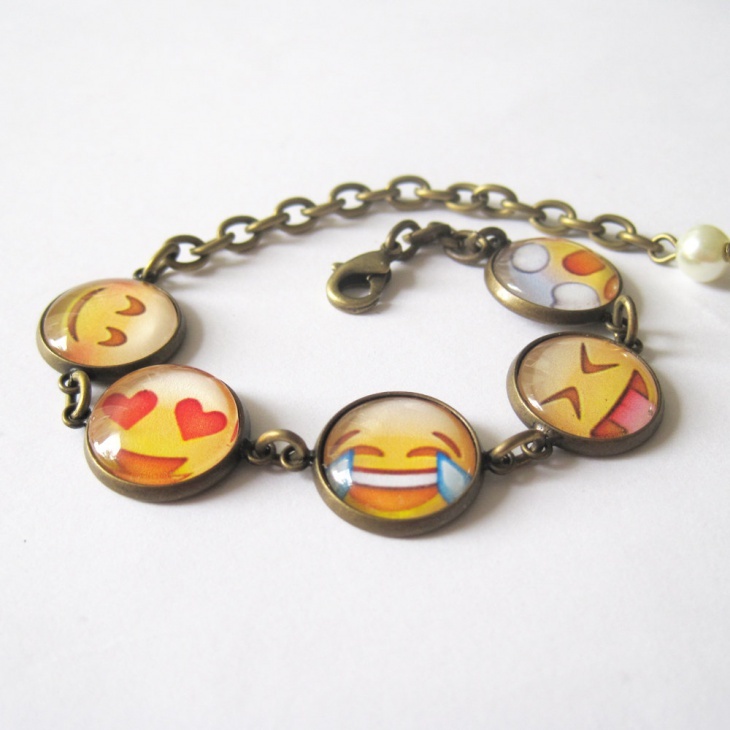 Most emoji are a representation of some expression, like happiness and to have jewelry like will only make you happier so let’s take a look at the funky emoji jewelry designs. 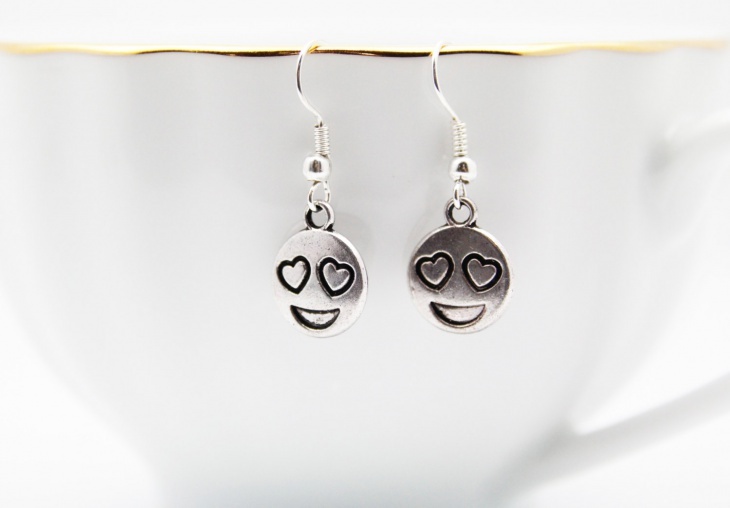 This is the love-struck emoji and it is made into earrings. They are cute and very adorable to look at. You could wear this on an everyday basis because it is that simple and pleasant to look at. 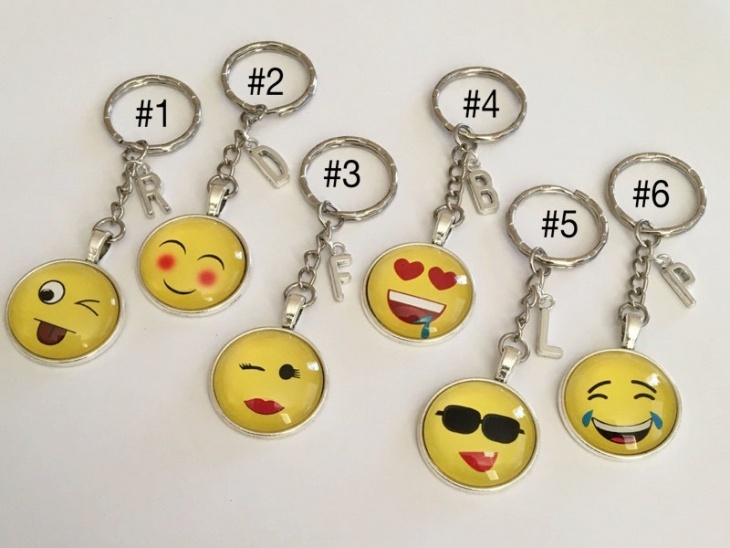 These key chains have different emotions in them. 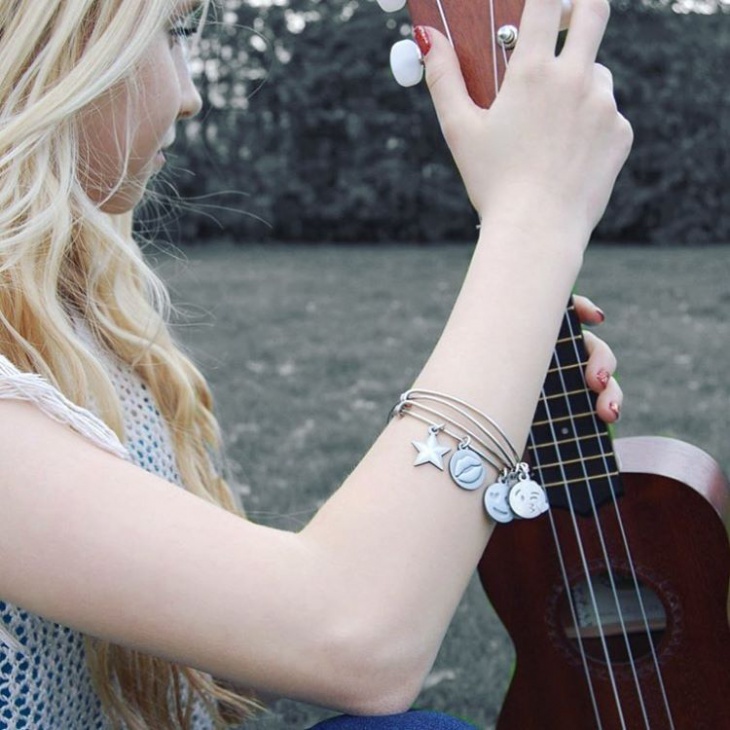 All are of course on the lines of being happy and positive. To have these emotions brings out a positive vibe and keeps you and makes you happy all the time. 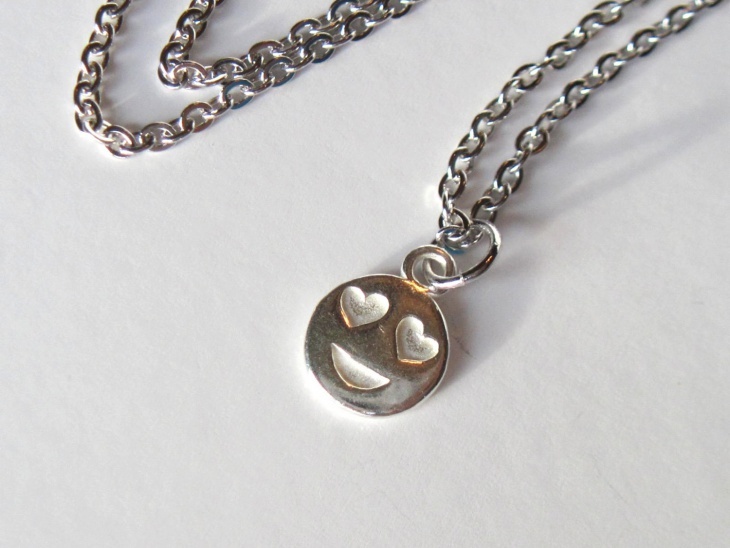 This is a necklace design that is a mixture of a smiley face and a love-struck face. 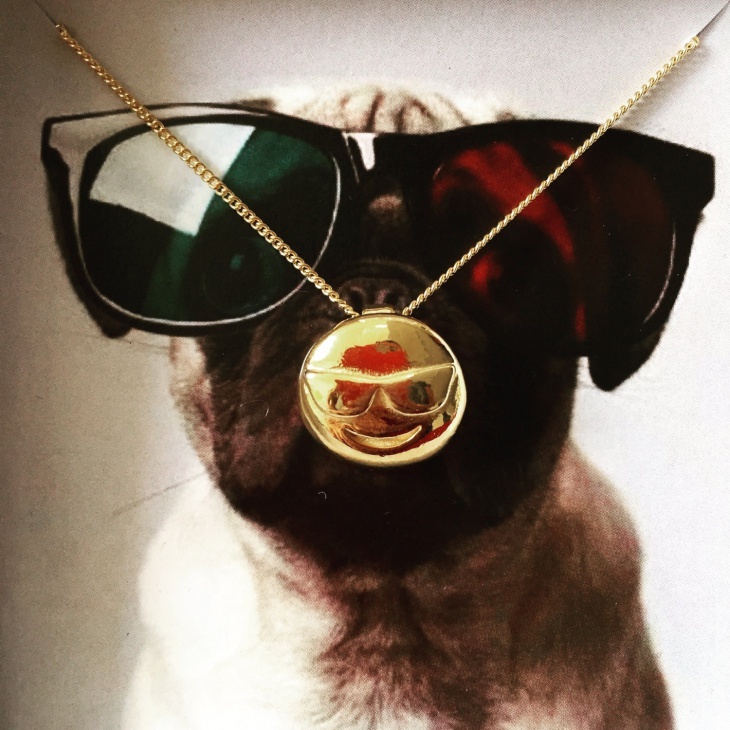 It is made of metal and the chain looks like an actual chain that supports the pendant in a perfect blend. 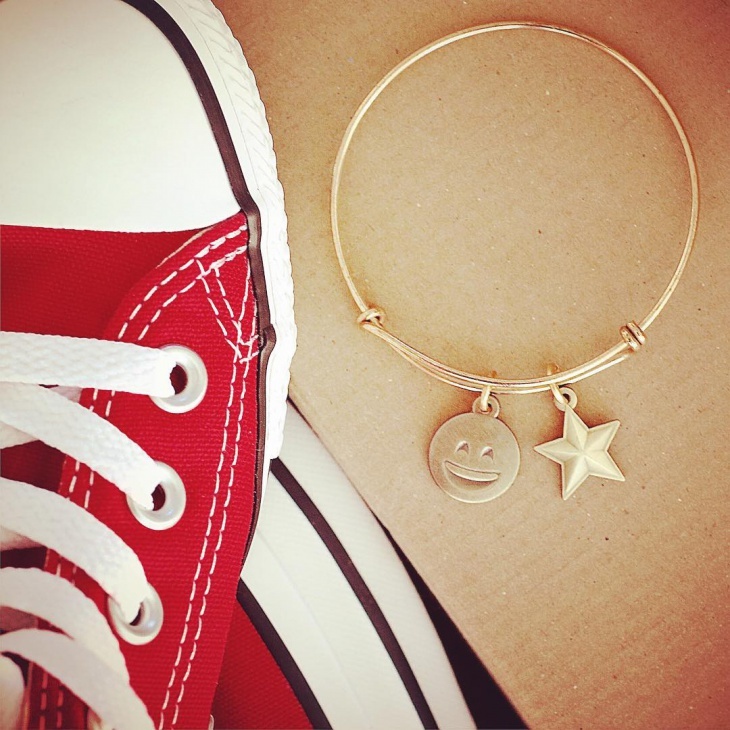 Charm bracelets are known to be lucky to many so you have to always keep them on a positive note just like these smiley bracelets. 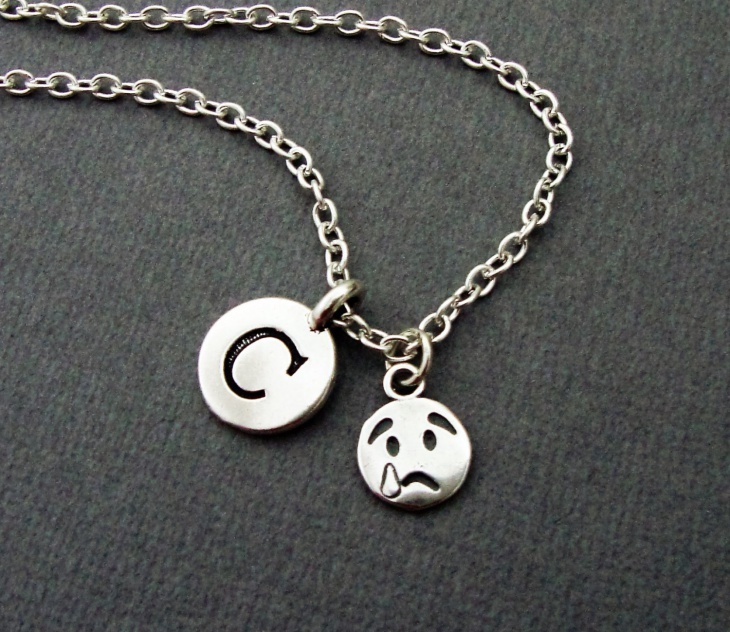 Each emotion is a happy emotion and that’s why we love this bracelet so much. We all have a good and an evil side, why don’t we bring out the evil side in a positive way too. 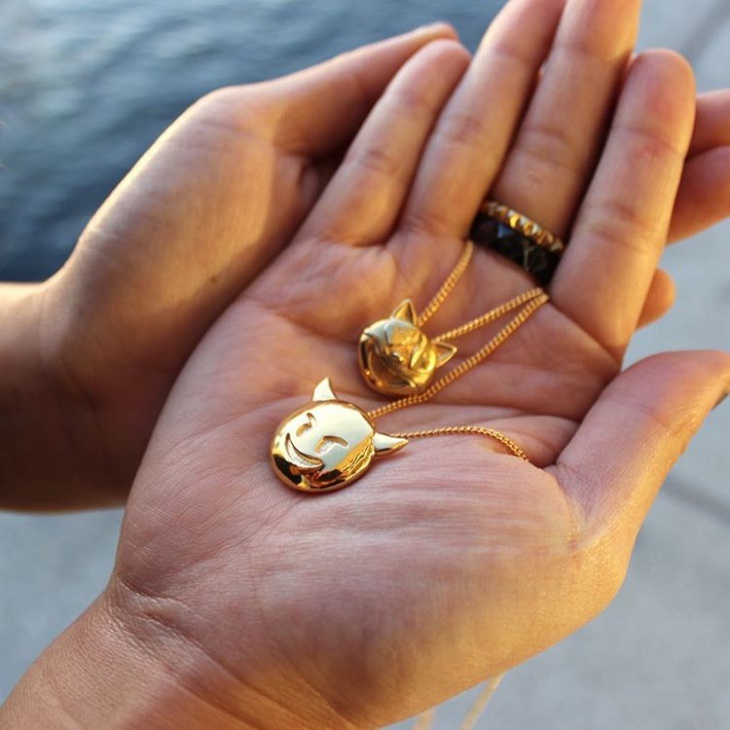 The devil emoji chain is very cute to look at and the fact that it is made in gold makes it look very chic. The stones are beautifully made into a happy smiley face. It looks very classy and will make you radiate. The stones make it look very pretty and people won’t stop looking at it. This is a vintage love struck emoji. The rustic look added to it makes it look very classy and something worth keeping. You can wear this on an everyday basis and flaunt the vintage jewelry away. We all know the very famous poop emoji on WhatsApp, the best part about is how the poop is made to look happy. 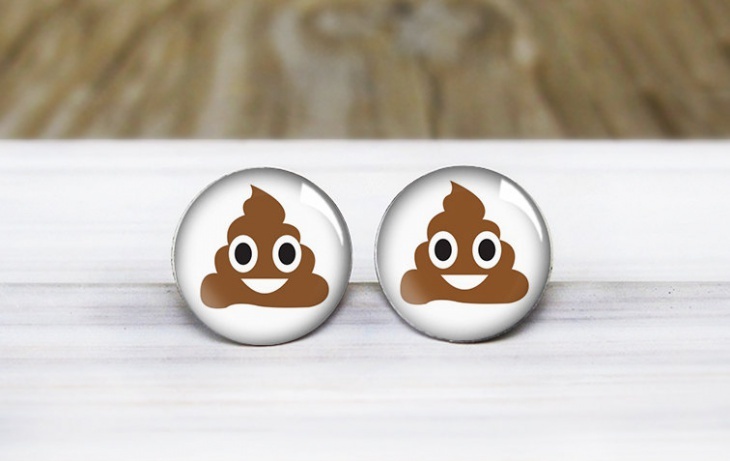 These made into studs is something very different and out of the box. It will make people wonder why but will always make them fall in love with it. 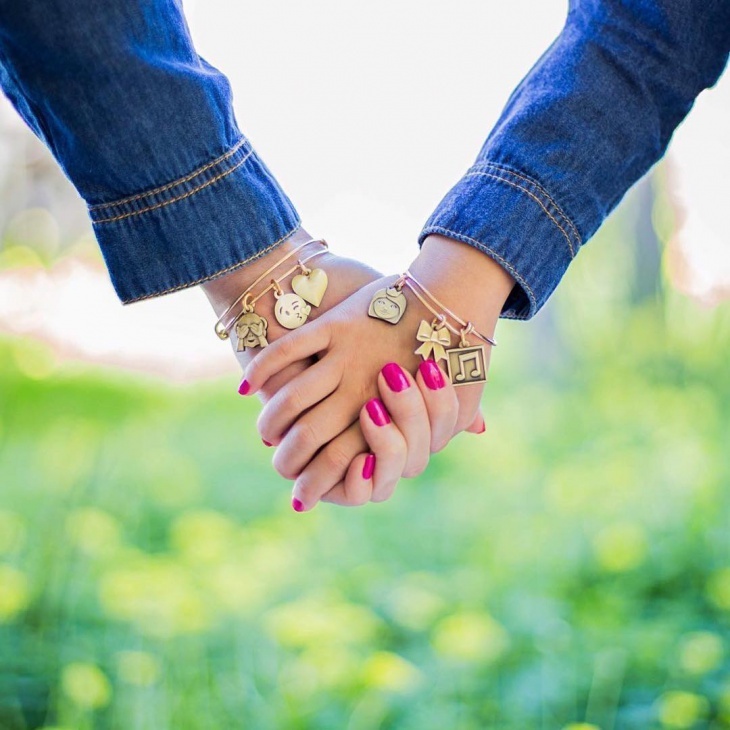 We saw a charm bracelet earlier but this is something very different and gorgeous. It is entirely made up of stones and supported by a silver bracelet. 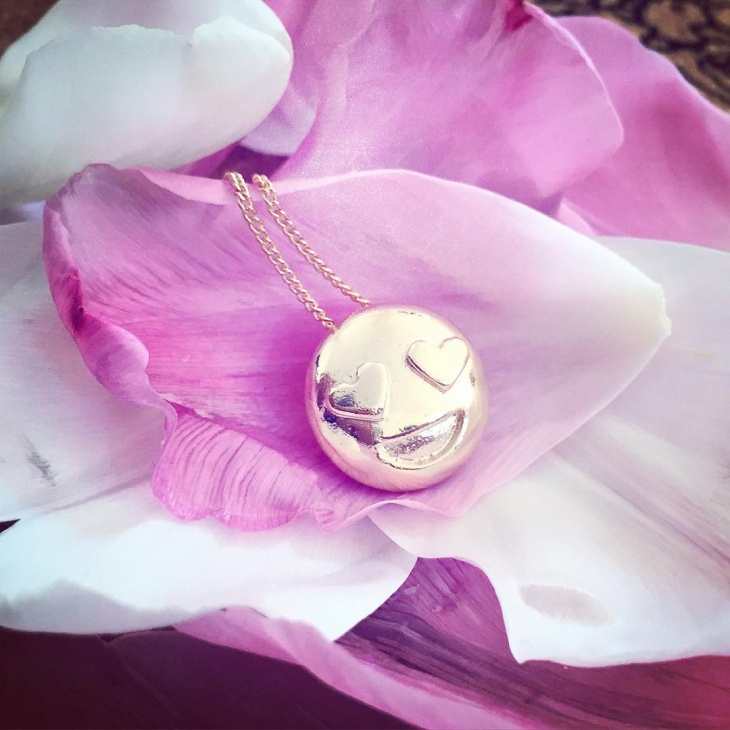 They are different happy emotions that are carved out beautifully with the stones. You could wear this for a special occasion. 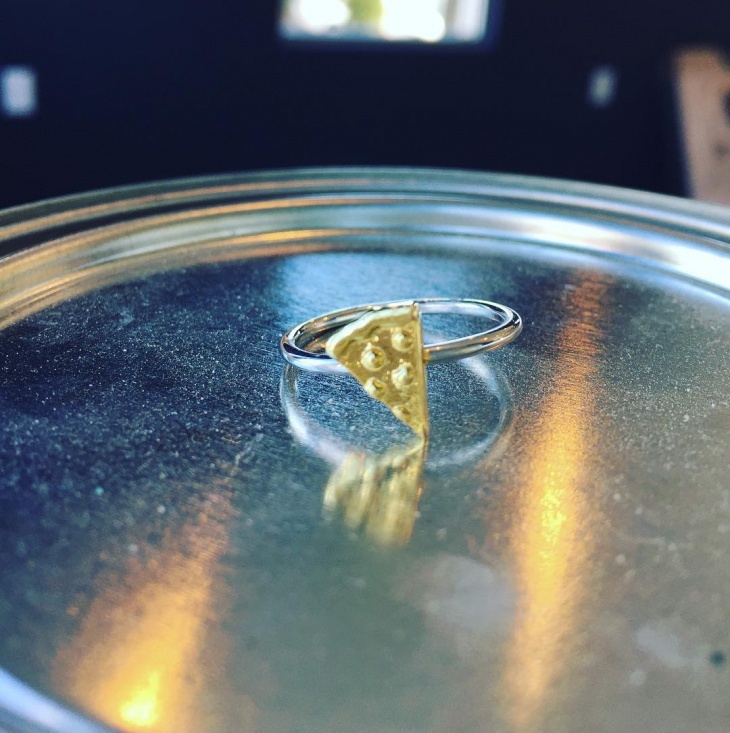 This is the poop emoji again made into a ring but this is entirely different. They have tried retaining the color with a copper look added to it but apart from that the stones support it well and make it look much beyond a poop ring. These 10 funky emojis will make you want to get on too. We love the creativity and idea behind each of them.